TradeMed - Industry News - GE Healthcare and DiA Imaging Analysis to Develop Machine Learning Algorithms | | Medical Equipment and devices for hospitals or institutions. GE Healthcare (Chicago, IL, USA) has entered into a multi-year, non-exclusive licensing and professional services agreement with DiA Imaging Analysis (Be'er Sheva, Israel), a medical imaging analysis software company, for developing automated imaging analysis technology to work with its ultrasound devices. DiA provides fully-automated, implementable tools, which allow for quick, objective, and accurate imaging analysis, with an initial focus on echocardiography. The company's FDA and CE cleared cognitive image processing tools are based on advanced pattern recognition and machine learning algorithms that automatically imitate the way the human eye identifies borders and motion, producing accurate and reliable data for the use of physicians. DiA’s automated imaging analysis technology also provides immediate, accurate, and reproducible imaging interpretation of ultrasound for point of care settings. By utilizing advanced, proprietary pattern recognition and sophisticated machine learning algorithms which can improve monitoring of patient conditions, these tools offer physicians powerful tools to support their decisions. "We are pleased to partner with DiA Imaging Analysis. GE Healthcare has a long history of bringing innovative solutions to our customers around the world," said Rob Walton, general manager of GE Healthcare Primary & Affordable Care. "These tools would bring new capabilities to ultrasound at the point of care." "We are excited with this collaboration, and look forward to working with a market leader such as GE Healthcare," said Hila Goldman Aslan, DiA's Chief Executive Officer and Co-Founder. "Our advanced automated tools for point of care echo ultrasound analysis are first to market, and we are planning to soon launch additional automated imaging analysis tools as part of our vision to improve patient care." 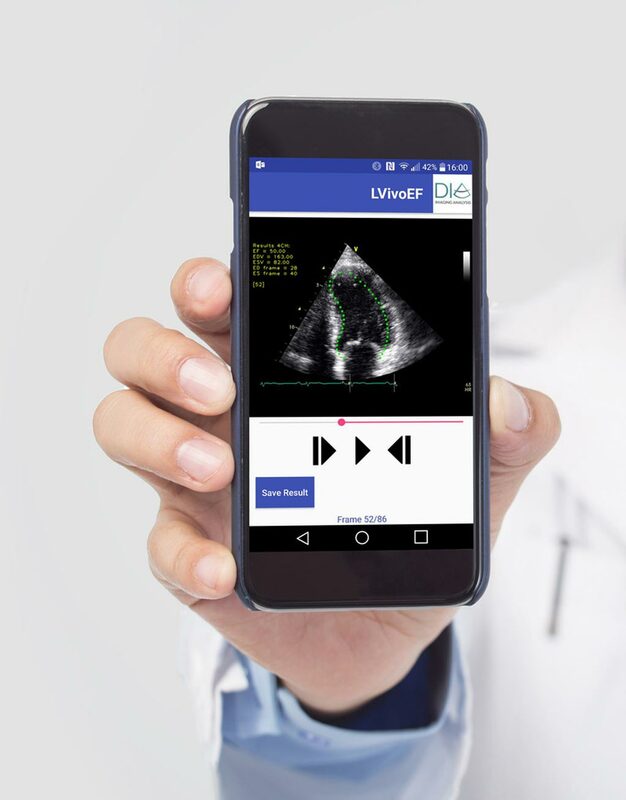 "To date, we are the only company that offers automated tools for handheld ultrasound devices and we are proud to partner with GE Healthcare to provide immediate information at the point of care," added Arnon Toussia-Cohen, DiA's Chairman and Vice President of Business Development.